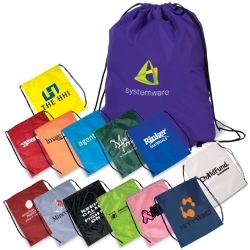 Drawstring backpack for your next corporate hand-out. Add your company logo for an additional $60 set up fee. 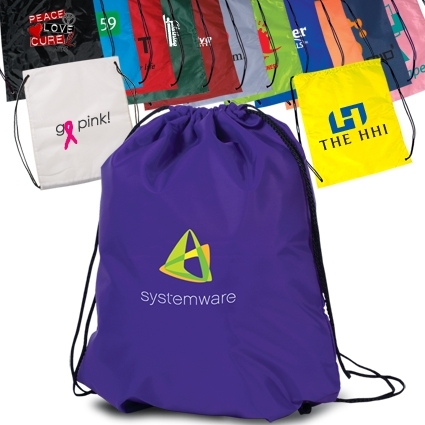 Optional Imprint Method: Image bonding 4 -color process $60 set up fee for art + .95 run charge per bag. . Minimum 250 pieces.